Compared to all the attorneys in big cities like Charlotte or Raleigh, there aren’t a whole lot of lawyers in Gates County, North Carolina. And that’s OK with us. We know the difference between the Inner Banks and OBX Outer Banks. As a personal injury attorney law firm, we provide a FREE CASE EVALUATION to people hurt in car accidents in Gates County NC and the surrounding Chowan NC communities. We work hard to pursue the fair compensation our clients need and deserve after an accident. That may include things like lost wages, reimbursement of medical bills, and damages to their vehicle. 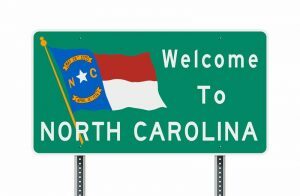 Just because you are from small-town North Carolina, doesn’t mean insurance adjustors can take advantage of the situation. The NC accident laws are the same here in Gates County NC, as they are on Fayetteville Street in downtown Raleigh. And the North Carolina court system and Rule of Law still focus on one thing: Justice. If you’ve been charged with serious criminal charges in Gates County, things like Murder, Manslaughter or DWI charges related a fatality, we’re here to help. We also provide a FREE CONSULTATION for NC criminal charges. Everything you tell us is confidential. 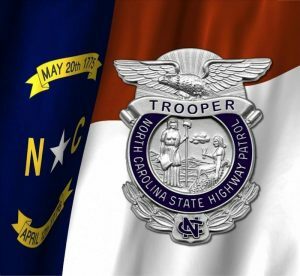 We want to answer your questions about the NC criminal laws and DWI charges in North Carolina. “Drunk Driving” or “drunken driving” charges in North Carolina, as some people call them, can be a predicate offense for Second Degree Murder and Involuntary Manslaughter in NC. It’s a complicated area of law that carries long-term consequences if you are convicted. Just like personal injury cases in Gates County, the Rule of Law applies to criminal charges, both felony or misdemeanor in Gatesville, Sunbury, and the Inner Banks. And just like Plaintiffs Lawyers pursue damages for people hurt in NC car accidents, Prosecutors in Gates County pursue criminal convictions. It’s a two-way street. The same NC DWI laws and NC criminal laws apply in Gates County, just like they do in Onslow County or Wake County NC. If you’re facing allegations of criminal charges, you should seek legal representation right away. The time to start preparing your legal strategy and DWI defense is now. What’s so Special About Gates County NC? 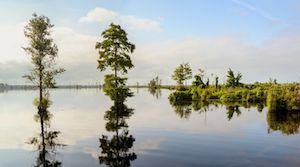 Gates County, part of North Carolina’s Inner Banks on the Chowan River, is best known as the home of the beautiful Merchant’s Millpond State Park in Gatesville. Though it is solidly a Tar Heel community, Gates is also considered a Hampton Roads, Va., community. Danny Glover Jr. has more than 20 years of courtroom litigation skills and practical legal experience in North Carolina. He is also a former president of the North Carolina Advocates for Justice, the largest voluntary professional association of NC Personal Injury Attorneys and Criminal Defense Lawyers North Carolina. If you have been injured through no fault of your own, our legal team can help you to recover funds to assist with medical bills, lost wages, property damage, pain and suffering and any additional harm you have suffered. North Carolina personal injury law provides financial relief for people who have been injured through no fault of their own. Glover Law firm can help you to seek the compensation you need and deserve if you have been seriously injured in an accident in Gates County. Keep in mind: There are strict time limits for filing personal injury and wrongful death lawsuits in North Carolina. So, it is important to act immediately in your case.